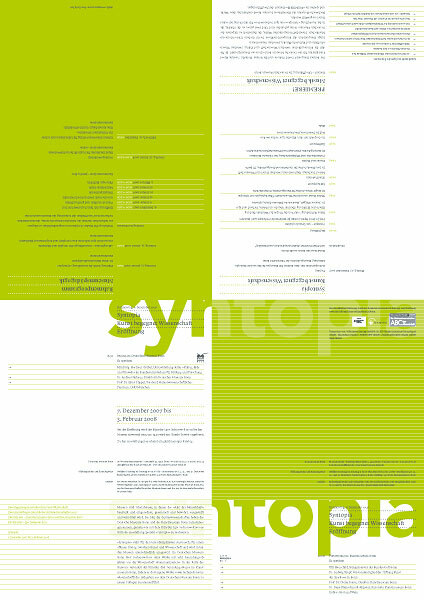 Program/poster/invitation for a double exhibition confronting art and science at Deutsches Museum Bonn (a science/technology centre) and Kunstmuseum Bonn (an art museum). The exhibition opening was accompanied by a concert and a conference; the program for both as well as the invitation for the opening is printed on the backside of the poster. Commissioned by garnitur, Vienna. Photos by the artist. 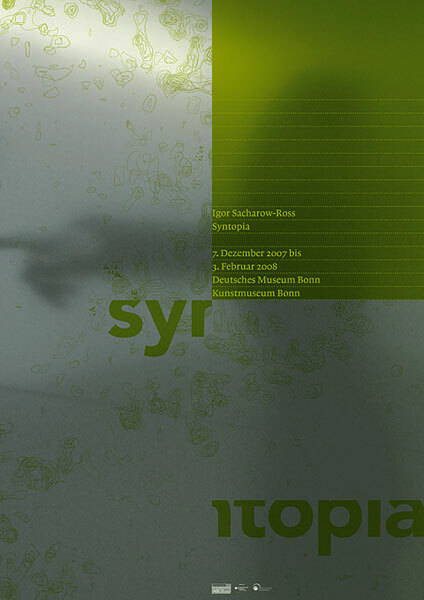 Published by Deutsches Museum Bonn and Kunstmuseum Bonn, 2007.